Climate is a fundamental consideration for agriculture, health, water supply, energy, tourism and many other industries, and its extremes can cause great loss of life and damage to livelihoods and property. Climate change provides an added incentive to manage climate risks well. Industries need to know what is happening in the climate system and to be prepared and organized to deal with future climate events whatever their cause. Good management of the existing climatic risks today is the foundation for managing the changed climatic risks of tomorrow. The Framework will also contribute essential information to support new policies on climate change and development, such as expanded renewable energies, better water management, re-forestation and energy efficiency. Indonesia islands surrounded by two oceans, namely the Indian Ocean and the Pacific Ocean and is bordered by two continents that is the continent of australia and the continent of asia. The islands of Indonesia consists of five large islands and thousands of small islands, surrounded by the sea – and between the sea and the Straits – the Strait. The mountains were towering great influence over the spread of rainfall and temperature. The climate can be influenced by the mountains. The mountains receive more rainfall than lowland areas because the temperature at the top of the mountain is lower than the temperature on the surface of the sea. The above factors affecting climate naturally. But we can't forget about the human influence on the climate we have. We have influenced climate since we appeared on this earth millions of years ago. At the time, that affect the climate. The trees are felled to provide wood for the fire. Trees take up carbon dioxide and produce oxygen. The decline of the tree because it would have increased the amount of carbon dioxide in the atmosphere. 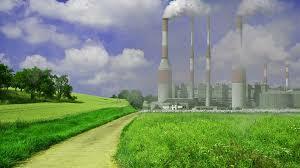 The industrial revolution, beginning in the late 19th century, has had a major effect on climate. The invention of the motorcycle engine and increase the burning of fossil fuels has increased the amount of carbon dioxide in the atmosphere is the number of trees that are felled are also increasing, which means that the resulting extra carbon dioxide can not be converted into oxygen. Because the position of Indonesia located at low latitude, so Indonesia has an annual average temperature – high i.e. approximately 26oc. temperature influence by climate due to its high temperature will result in a lot of evaporation let alone seen from Indonesia's geographical layout, allowing the existence of a large evaporation, therefore during the dry season sometimes also still a lot of rain. Thus there is no clear boundary between the dry season and rainy season. The air humidity is the physical state of the atmosphere in relation to water vapor. In relation to the water which is always contained in the atmosphere, in the form of steam (gas), a grain of water or ice that is floating around (clouds, fog). Approximately 2% of the mass of the whole atmosphere. But the number is not fixed and ranged from nearly 0%-5%. As an island nation which has a vast sea, a tropical climate and a high temperature, then evaporation in Indonesia very much so that humidity is always high. -Geographical position of his country. The influence of climate due to the importance of remembering each type of plant growth at various levels require different climatic conditions. The results of a plant depend on the interactions between genetic factors and environmental factors such as soil type, topography, climate patterns, management, technology and factor in the economy. Of environmental factor, then factor in the ground has been widely studied and understood compared to the climate factor. And this climate is one of the variables in a difficult food production in control. Therefore, in the farming business, the typical way – a way of farming adapted to local climatic conditions.